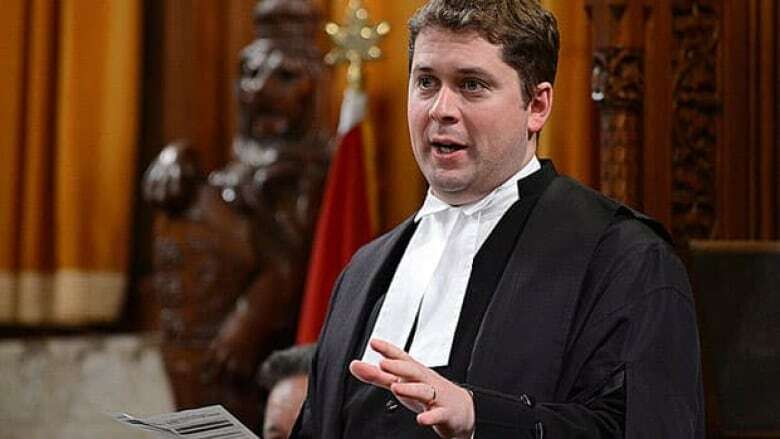 The judgment of Commons Speaker Andrew Scheer is being questioned following his decision to withhold letters sent to him two weeks ago about Manitoba Conservative MPs who have run afoul of Elections Canada. Commons Speaker Andrew Scheer is in the hot seat over his decision to withhold letters sent to him two weeks ago about two Conservative MPs who have run afoul of Elections Canada. In a letter dated May 23, Canada's chief electoral officer wrote to the Speaker to inform him of "the failure of the Member of Parliament for Selkirk-Interlake, Mr. James Bezan, to provide corrections to his electoral campaign returns." The letter goes on to say, "The [Canada Elections] Act provides that an elected candidate who fails to provide documents required ... may not continue to sit or vote as a member until the corrections have been made." The next day, the same type of letter was sent in regard to Shelly Glover, the Conservative MP for Saint-Boniface. Both members continue to sit in the House of Commons, voting, speaking and even putting forward motions. Both are challenging Elections Canada's findings in court. Scheer has so far refused to release the letters. Liberal Scott Andrews has raised a question of privilege over the issue that the Speaker has yet to decide on. However, on Thursday, another Liberal, Massimo Pacetti, was still trying to get the Speaker to officially tell the House what is going on. "I'm asking you to make that letter available to the House so that all members may be made aware of its contents," Pacetti said after question period. Scheer brushed aside the request. "My understanding is that these types of things are made public by Elections Canada and it's even up on some websites — so I'm sure he'll be able to obtain a copy of that if he so desires." Scheer is partially right — the documents in question are available to any member of the public that makes an appointment with Elections Canada to review the campaign returns of the MPs. But the documents can only be viewed at Elections Canada's office in Ottawa, and it takes at least three to five business days to arrange an appointment. The versions of the letters available online are there because of media outlets that went through the process. Thomas Hall, who worked in the House of Commons for 30 years, including time as a procedural clerk, was taken aback by Scheer's behaviour. "I was very surprised that he didn't inform the House on it ... just the fact that it was keeping information from the House that [MPs] were entitled to know." Hall cites a precedent in 1966, when an MP had similarly gotten into trouble with the election law. In that case, the Speaker at the time said it was up to the House to decide what should happen to the transgressor and that the Speaker had no role to play in such matters. This time, Scheer seems to have taken on the decision largely himself. "The Speaker has consulted House Officials on the facts and the provisions of the Canada Elections Act and the court applications for Mr. Bezan and Mrs. Glover," reads a statement issued by his office earlier this week. "The Speaker will await the decisions of the courts in the appeals before taking any action." Michael Behiels, a professor of Canadian political and constitutional history at the University of Ottawa, says Scheer is wrong to cede authority to the courts. "By being deferential to the courts, the Speaker is undermining the sovereignty of Parliament and his authority as Speaker of the House," he says. Hall says it is the wrong approach made worse by dismissing a direct request for information by an MP. "To take that cavalier attitude, frankly, was quite surprising. The Speaker is the servant of the House, not the master," Hall says. Hall says Scheer's actions put him at risk of appearing to be protecting two members of his own party. "It was a bad judgment call on his part because it does give an opportunity to criticize his action – and Speakers should always avoid this kind of controversy in the House." This story has been edited from a previous version to make it clear that Thomas Hall worked as a clerk in the House of Commons but was not the Clerk of the House, and also to correctly state that in the 1966 case the Speaker ruled he had no role to play in deciding such matters.